Summer is winding down and your beach vacation just ended. You have always dreamed of living at the beach and having a view like that pictured above. We were able to snap this one of Emerald Isle Beach on one of our morning strolls. Are you Looking for the Beach Front Bargain in Emerald Isle or any of the Crystal Coast Beaches? 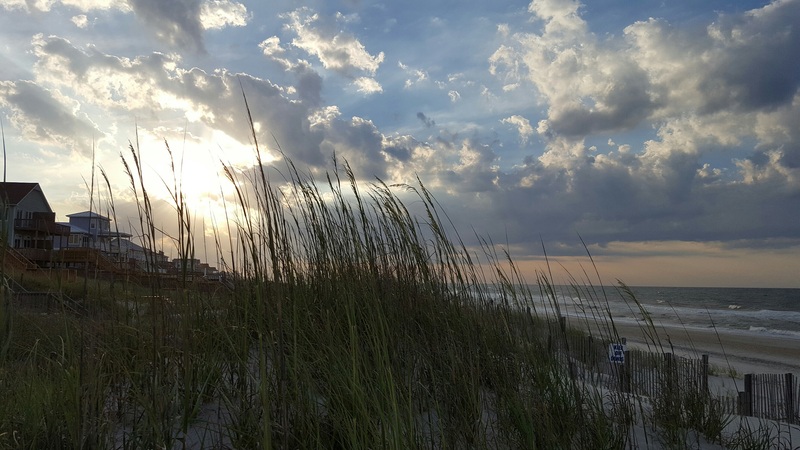 We have a full list of the beach homes for sale under $300,000 in Atlantic Beach, Pine Knoll Shores, Indian Beach and Emerald Isle. Interest rates are still low and there is plenty of inventory to choose from. Let the Crystal Coast Home Team help you find that beach front bargain today! If you would like to view all homes for sale on the Crystal Coast of North Carolina (not just the beaches), we can help. We are members of the Eastern North Carolina MLS which means you can visit our website and view homes from Wrightsville Beach to Oriental. Let us help you find your Crystal Coast Home now!